I’m a regular user of coffee, the legal drug that is associated with athletic performance enhancement. reports suggest that around 74% of elite athletes use caffeine either before or during an event, and the majority of these seem to be endurance athletes. There’s good reason for this. Studies of cyclists, rowers, and runners show that caffeine can significantly prolong time to exhaustion, increase average power output and improve finishing times. Caffeine works by blocking a receptor in the brain, called the adenosine receptor. It’s this action that explains how caffeine stimulates our nervous system and keeps us awake. Blocking adenosine is also thought to improve the recruitment of muscles, reduce our perceived effort during exercise and dampen our perceptions of pain, all of which help endurance exercise. I’ve settled into a few morning cups- usually no more than three. In the late afternoon I’ll sometimes have another cup a half-hour before I head out on a mountain bike ride or a hike. I’ve recently discovered that I can also enjoy an occasional espresso after dinner, with no disruptive effect on my sleep. I’m what is known as a fast processor of caffeine. It’s clear that caffeine isn’t an equal opportunity enhancer. The extent to which individuals experience performance benefits appears to vary according to how fast you metabolize caffeine. This, in turn, depends on your genes, particularly your CYP1A2 gene. I’m a fast metabolizer of caffeine. My Fitness Genes analysis indicates that I have the AA genotype for CYP1A2, which results in an ability to break down caffeine more quickly. In 2006, Dr. El-Sohemy and his colleagues published a study in JAMA showing that slow metabolizers had a heightened risk of heart attacks if they frequently drank coffee, compared to people who were genetically classified as fast caffeine metabolizers. The scientists theorized that the drug, which can constrict blood vessels, hung around and produced longer-lasting — and in this case undesirable — cardiac effects among the slow metabolizers. Clicking below will introduce you to learn how a peformance-based training program that includes coffee appears to keep at least one professional sports team on the run. Check out what my long-fought 569 hours brought me in 2018 ! Happy Outdoor New Year’s ! I’m a goal oriented person who hoped to read 35 books this year. I’m thrilled to report that I have ended up reading 45 books, with time for at least one more in 2018. I use Goodreads to track books that I want to read, books that I’ve read, and to see what my friends are reading. Consider using the Goodreads app to improve your own enjoyment of and engagement in reading books. Ten Million Steps by M.J. Eberhart – M. J. Eberhart, aka Nimblewill Nomad, was a 60-year-old newly retired doctor in January 1998 when he set off on a foot journey that carried him 4,400 miles (twice the length of the Appalachian Trail) from the Florida Keys to the far north of Quebec. It is also the first known public report of hiking the International Appalachian Trail, an extension of the AT from Baxter State Park through northern Maine, New Brunswick, and Quebec. On Trails: An Exploration by Robert Moore– Moore is a young man who is already a a huge writer that has won multiple awards for his nonfiction work. As a hiker, I found the whole book interesting, but the Prologue and Epilogue holds the best writing about long distance hiking and “hiker-trash” philosophy that this hiker has ever read. Gut: The Inside Story- Julia Enders : I’ve read a half dozen or so books about the connection between gut health/diversity and functional performance and this one is fun, brief, easy to understand, and well focused. Reading the Forested Landscape- Tom Wessels This book is a re-read for me. Given my almost daily forays out into the various ecological locations depicted graphically and verbally in this book, I refer to it multiple times most days. It is essential reading for exploring the edges of abandoned forests and the overgrown fields and swamps in coastal Maine, where I live. 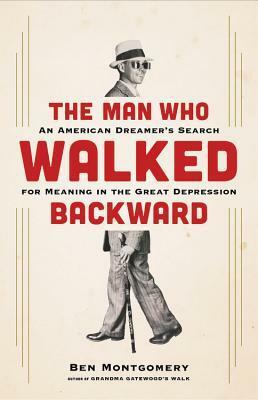 The Man Who Walked Backward- Ben Montgomery I’ve started to listen to audio books while driving. There’s plenty to choose from at my local library. Here’s the first I tried out and I loved it. I chose it after reading Montgomery’s Grandma Gatewood’s Walk, the best book I read four years ago. I wasn’t the only one who thought it exceptionally strong. Montgomery won the 2014 National Outdoor Book Awards for History/Biography for his story of the first woman to hike the entire Appalachian Trail alone, as well as the first person—man or woman—to walk it twice and three times. I reviewed the book here. The Book of the Hut -John Silverio Another book that I have re-read. I wrote a review of it here. Jack’s book inspired me to build a 14 foot diameter octagon at my Maine camp on Hobbs Pond. I plan to head over to the hut today and light the wood stove for the first time. There will be a ” grand opening” of the little building sometime this spring. Let me know if you’d like to visit ! 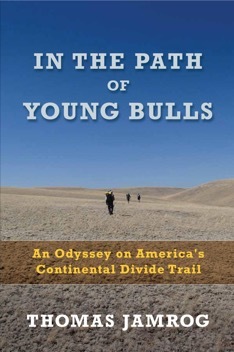 Please be aware of the current 30% off sale of my own new book – In the Path of Young Bulls. When ordered though this website, from now until Jan.1, 2019 the book is only $19.99 plus shipping. Happy Holidays! 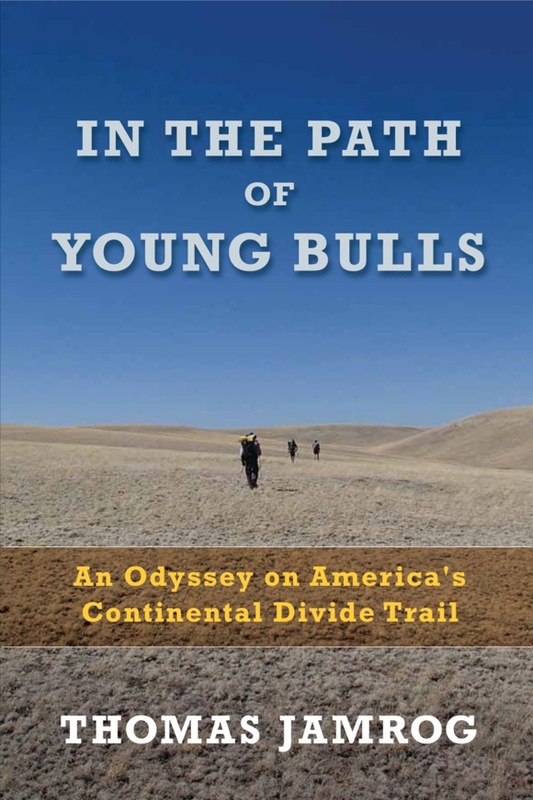 When you order through the link on this page my new book , In the Path of Young Bulls, is 30% off now until Jan. 1, 2019. Happy Holidays from Uncle Tom’s Guided Adventures. Copies will be signed, and there is a chance for you to request an inscription as part of the ordering process. I hope that you will enjoy the book, which is into its second printing already! Thanks to all my supporters over the past several years !